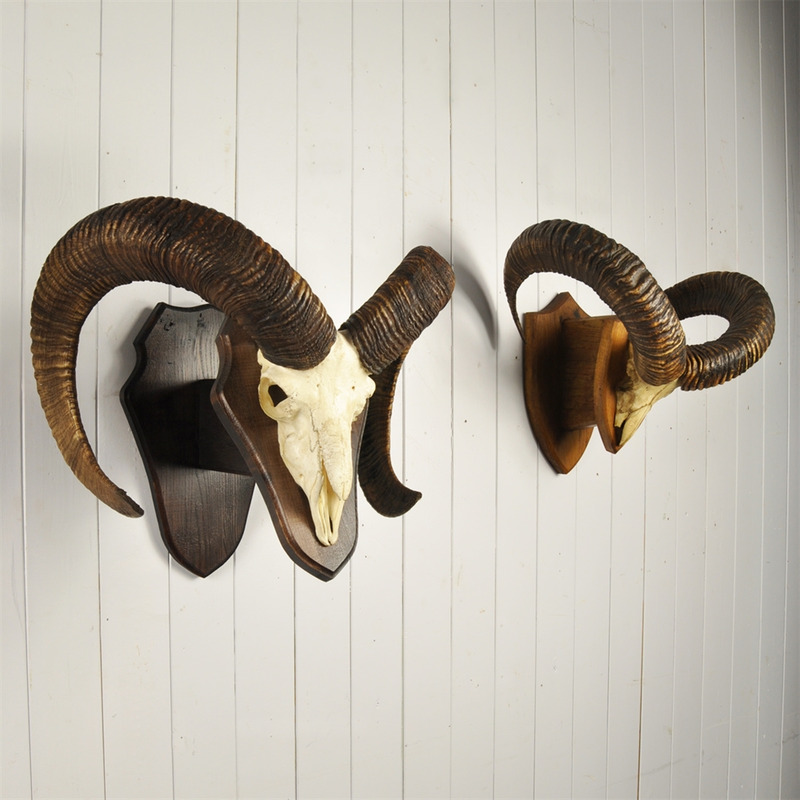 These beauties were sourced in Germany where they roam free - until of course they are hunted ! 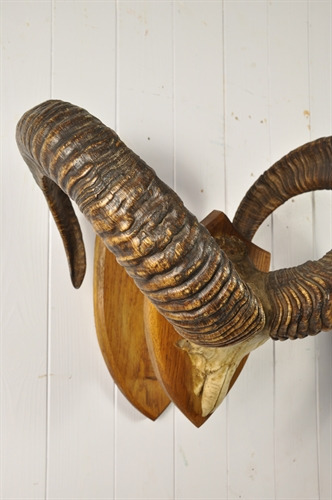 The Mouflon is a subspecies of the wild sheep Ovis oriental and is thought to be one of the two ancestors for all modern domestic sheep breeds. 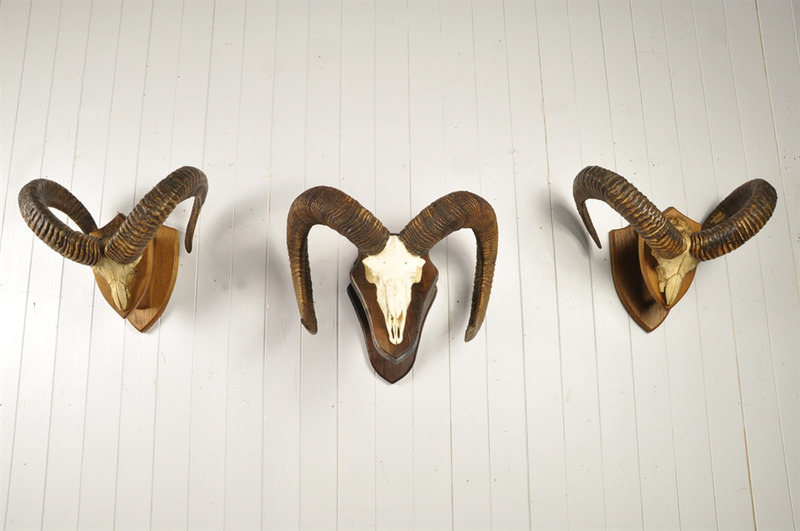 The larger middle ram has much less age than the other two with a more modern mount, probably 1970's the other two ( pair ) are more likely 1950's. 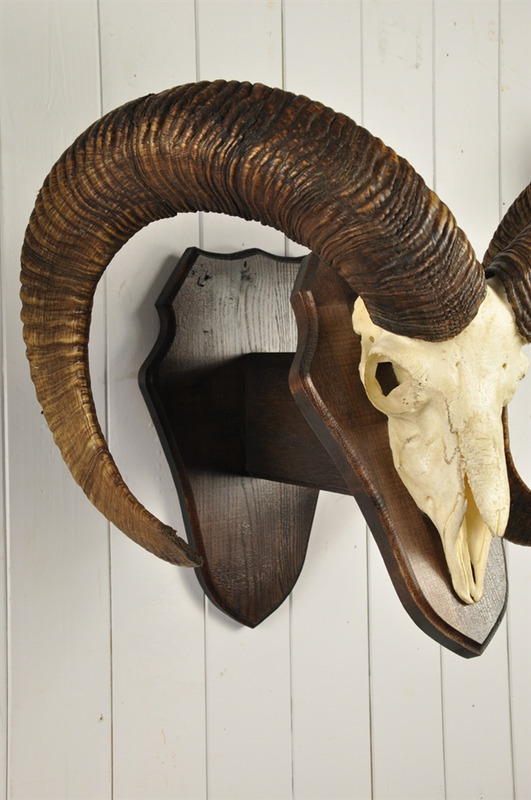 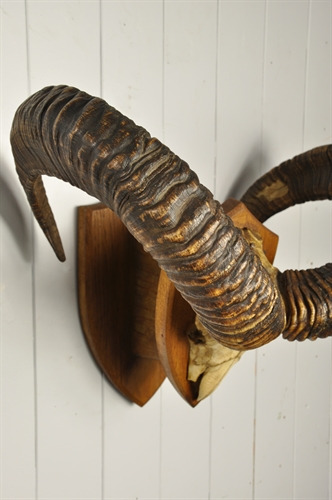 £ 180.00 for the larger skull on darker plaque.